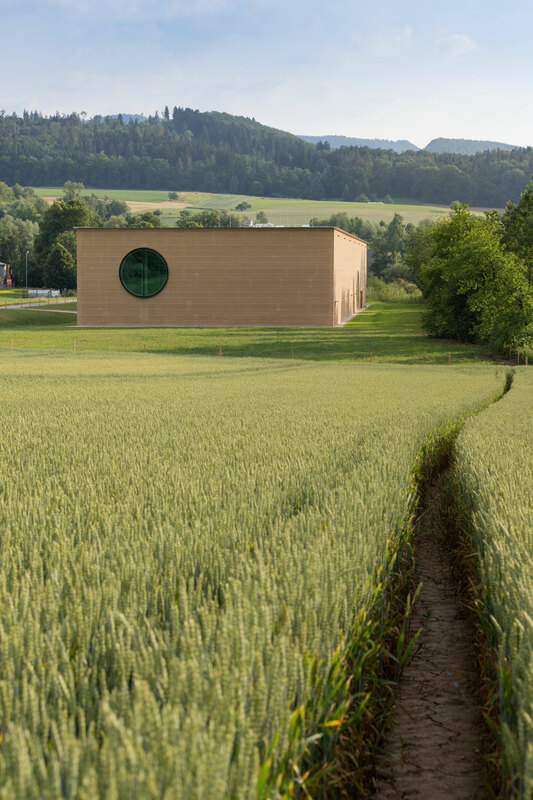 Ricola’s new herb production hall and storage facility had specific requirements with respect to the climate conditions for herb storage, as well as energy reduction targets, including operation and embodied energy. In order to meet these needs Transsolar carried out a quantitative review of the comfort and energy concept, proof of thermal-hygro functionality of the building skin, and the generation of typical building load curves. 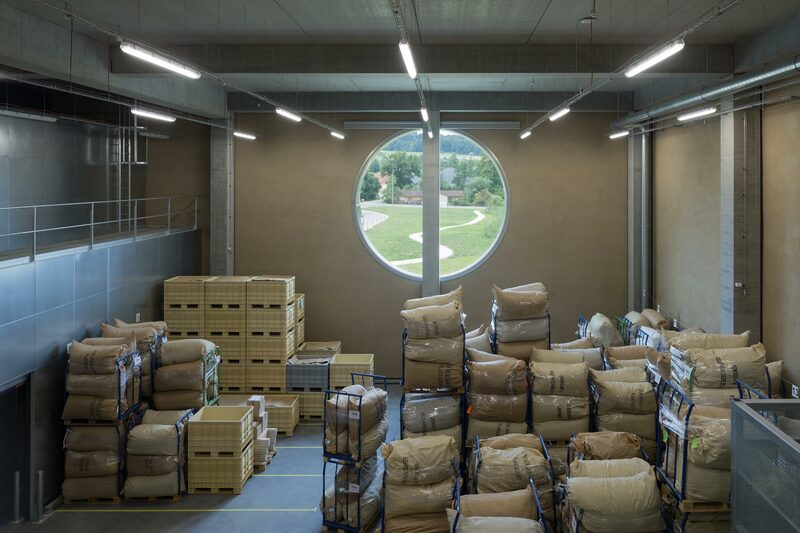 Their study resulted in the recommendation of using a rammed earth building façade to ensure the proper climactic conditions within the storage facility. 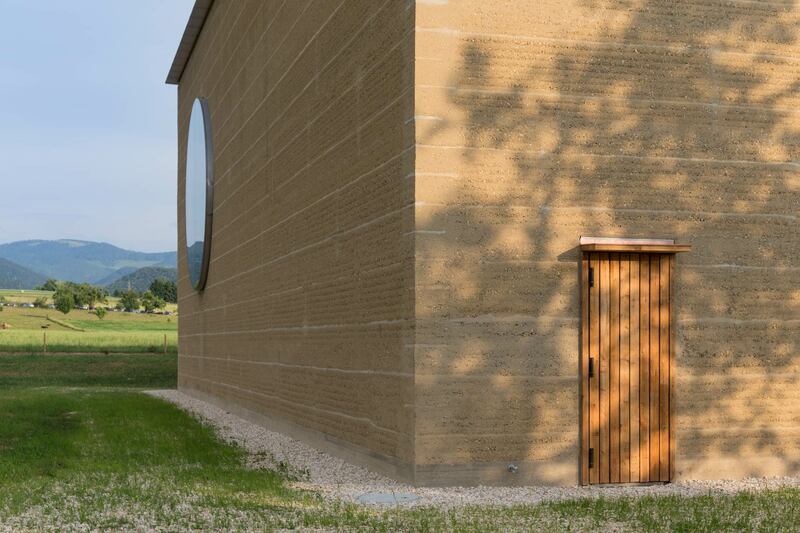 Because of the high thermal transmittance of Ures = 1.7 W/(m² K), which did not meet the “Thermal Insulation Regulation” of the Kanton Basel-Land, it was the task of the design team to verify the rammed earth design approach. 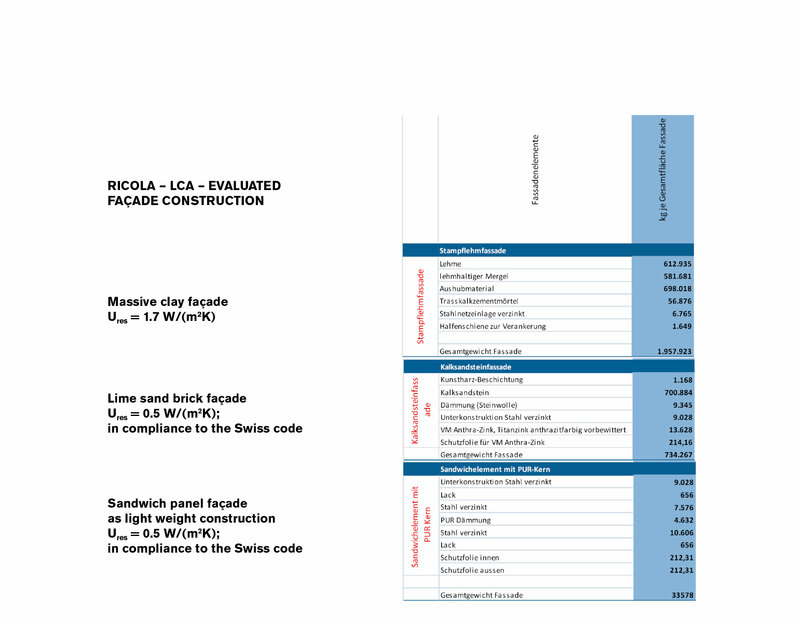 Transsolar provided a site-specific holistic comparison of the three different façade constructions by collaborating with PE International to perform a Life Cycle Impact Assessment (LCIA). They compared the rammed earth building façade with a lime sand brick façade, as well as a sandwich panel façade as light weight construction. 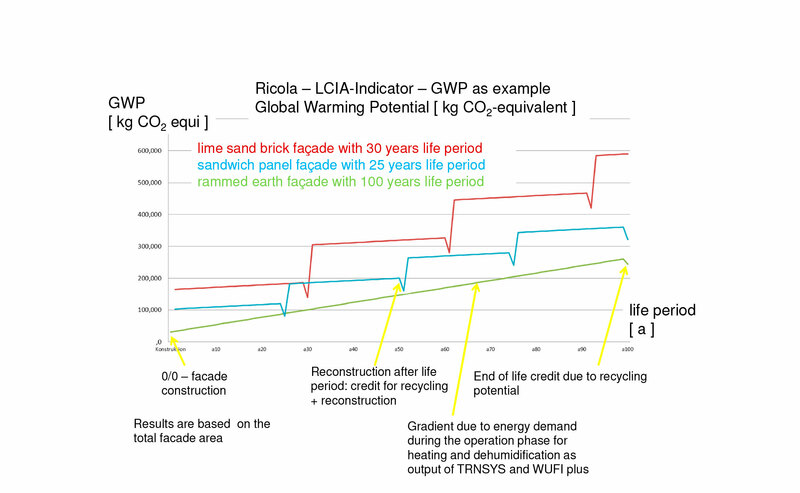 By integrating the energy demand results - calculated by Transsolar using TRNSYS and WUFI Plus - into the LCIA they were able assess the relevant LCIA-indicators, such as Global Warming Potential (GWP), Ozone Depletion Potential (ODP), and Acidification Potential (AP) of both the building´s operational lifetime and the embodied energy of the building materials. Although the GWP of the rammed earth buildings operational energy demand was higher than the alternatives, it showed the lowest GWP due to its durability, local sourcing, and low embodied energy. The climate concept consists of thermally activated floor and ceiling components, using the hydric and thermal storage capacity of the rammed earth façade, and indirect dew point cooling in the mechanically ventilated areas. Dehumidification of the herb storage is done using liquid absorption, waste heat is utilized from neighbouring building heating and the buildings electricity is supplied by photovoltaic panels on the roof.